Mesa County, Colo. -- Two adults from the Western Slope went camping in the Escalante Canyon on the Grand Mesa Uncompahgre on Sunday, April 13, 2014. The couple was pulling a camper behind their vehicle when bad weather caused them to get stuck. The individuals decided to leave the vehicle and walk. Late last night, the local dispatch center received a call that the two individuals were lost and were going to spend the night in a makeshift shelter. The Mesa County Sheriff's Office had a deputy in the area last night, who was sent out to attempt to find the individuals. Finding the subjects in the dark would prove to be a challenge, with the help of the CenturyLink volunteered helicopter they were located this morning with ease. 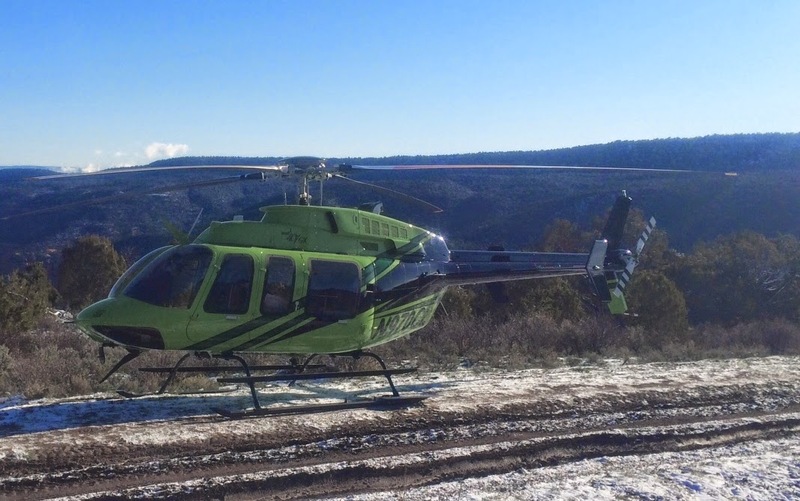 The individuals were escorted back to their vehicles by deputies, and out of the canyon and found to need no medical attention and had sustained no injuries. Thankfully the subjects were dressed in warm clothes, and still retained a cell signal which would lead to their rescue. The Mesa County Sheriff's Office and SARC would like to remind all persons who plan on going hiking, or camping to not rely on their cellphones, dress for the weather, and have an adequate supply of food and water. As a reminder, do not leave anything of value in vehicles while they are not attended, or leave them at home. In addition, SARC in Mesa County is entirely made up of volunteer members who are trained to deal with potential missions in the area. All rescue services are volunteered, and greatly appreciated in the help and rescue of individuals who need it. Be sure to follow us on Twitter @SheriffMesaColo for updates across #MesaCounty using #GVCopBeat. You can also find us on Facebook by searching Mesa County Sheriff's Office.